The Crazy Rich Asians lifestyle is what some aspire to have. The fancy cars, first class flights, to the most decadent fashion, and the most exclusive parties allure the imaginations of people. What really happens in the lives of society’s top 1%? The book piqued curiosity of those who want to have a glimpse of this very exclusive world, in a way dipping their toes in the lives of the privileged set. That, and a whole lot of fun and funny circumstances in the story make it an easy and enjoyable read. Author Kevin Kwan brought the spotlight to a different Asian lifestyle, elevating stereotypes on the stature, style, and culture in the east. Now a major Hollywood motion picture, Crazy Rich Asians is deemed groundbreaking with its all-Asian cast. And, no… I don’t think there are any martial arts stunts in this movie. One lucky Filipino designer captured the creative eye of Kwan. Cebu-based Neil Felipp’s accidental encounter with Kwan was not even personal. This was a literal case of letting the work speak for itself. It lead to a friendship, and eventually Felipp’s brand was mentioned in Kwan’s novel, Rich People Problems – the third book in his trilogy. His “Suzy Wong Black” minaudiere is seen in the still of the upcoming Crazy Rich Asians movie carried by Gemma Chan’s character, Astrid Leong. Felipp is a Bachelor of Fine Arts, Industrial Design graduate from the University of the Philippines – Cebu. 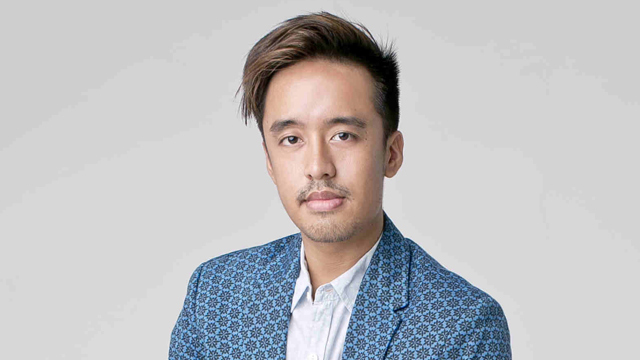 No less than internationally renowned designer, Kenneth Cobonpue, handpicked Felipp to be an apprentice in his design studio. A few years after, Felipp received the local Look of Style Awards Accessory Winner in 2013 which awarded him with a scholarship at Sheffield Hallam University in England. He was also recognized as a Rising Creatives Awardee, chosen for his exceptional talent in Philippine arts & design. I’ve known Neil for a couple of years. Beyond his playful and bubbly demeanor lies an artist steadfast in creating uniquely beautiful, yet impeccably crafted pieces. You’d easily be seduced and covet a piece. Before the global fame intensifies and even friends need to book an appointment just to talk to him, I caught up with him for a brief interview. Did design come organically? How did you hone your skills? At a young age, between 7 or 9 yrs old, I already started sketching dresses. I always thought then that I would be pursuing fashion apparel. That changed when I met Kenneth Cobonpue during a highschool career symposium. During his speech, I became more curious about Industrial Design. When I found out he would become a mentor in the University of the Philippines – Cebu for the new Industrial Design Program, I decided to apply as a student. During that time, I became one of his apprentices in his studio. There, I was able to expand my perspective on the creative process. During my college years, I went through various internships that tackled interior design, installation, furniture, fashion apparel, and home accessories to further broaden what I wanted to specialize in. It was only right after graduation when I worked for an exporting company specializing in brass work for home accessories that I further played with brass on fashion accessories. Are you concentrating on minaudieres or are you venturing into other pieces? For now, the concentration is minaudieres. But I have been exploring other fashion accessories such as necklaces, earrings, and rings. And quite soon, home accessories. Being based in Cebu, was that a hindrance since most of the focus on art and fashion is in Manila? Being based in Cebu was never a hindrance for me since we now live in the digital age, making it more accessible to get the latest information such as fashion trends, art, business and politics. What key elements or inspirations can we look forward to in your next pieces? For sure, you will find my signature elements: the intricate brass details with every piece. For the incoming next pieces, I’m looking at creation itself as my source of inspiration. When I mean creation, I’m looking at creating my own concept of how the universe was born. Meeting Kevin Kwan, how did that happen? What made you and him get along so well? It began when a good friend and client of mine brought with her a Suzy Wong minaudiere during the first Manila tour of Kevin Kwan for his book, Crazy, Rich, Asians. When she was about to interview him, the first thing that Kevin noticed was her minaudiere and asked her permission to take a photo of it for his instagram account. When the post came out, everyone started tagging me. At that time, I didn’t know who he was. I sent him a direct message saying how grateful I am for his post. We started communicating after that. I think one of the things that we enjoyed the most during our conversations was our love of Asia, from the diversity of cultures to the amazing craftsmanship that each culture has. Another would be that we enjoyed sharing each other’s creative process on how he creates stories through literature while I create stories through my minaudieres. What were Kwan’s reactions to your designs? [He said] he loved the intricacy of my designs, especially the brass details. But the more I shared with him the stories that inspired each piece, the more he became fascinated with my work. If you were to describe Kwan in one word, what would it be? Generous. From our conversations, he was always generous when it comes to advice and talking about the Neil Felipp brand to others – which I truly appreciate. On the other hand, how did you react to the book Crazy Rich Asians? Reading the book, I was greatly entertained as there were moments I found relatable with certain characters, traditions and cultures. For me, the book is a definite must-read. Which of your pieces should we watch out for in the movie? How did the selection process of which to include in the movie happen? 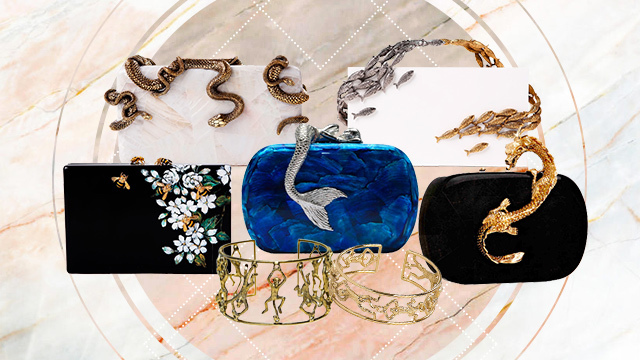 From the 10 pieces that I sent, there were two that were used – the Siren Minaudiere and the Suzy Wong Minaudiere. When it came to the selection process, I presented them images of my minaudieres via email. From there, they selected the designs that will be used and shared with me who the possible actors that will be using them, as well as the scenes that the minaudieres will most likely be in. The book and the movie has, in a way, given you global recognition. Given the chance to give your piece to an international celebrity, who would be your top picks? A few of my top picks would be Oprah, Beyonce, Amal Clooney, Angelina Jolie and Michelle Obama. I chose them is not only for their impeccable fashion sense, as well as how do they use their celebrity status to help others. This can be done through various ways such as providing scholarships, relief goods to victims, and constantly inspiring hope to others. Do some Filipinos embody the whole Crazy Rich Asians lifestyle? Yes, there are quite a few and I find it quite intriguing that each one has their own take on the Crazy Rich Asians lifestyle. For more of Neil Felipp’s design, check his Instagram account, @neilfelipp.